The Herd Leadership Council (HLC) is a great way to find a smaller community on campus, be more involved, and make a difference on campus. 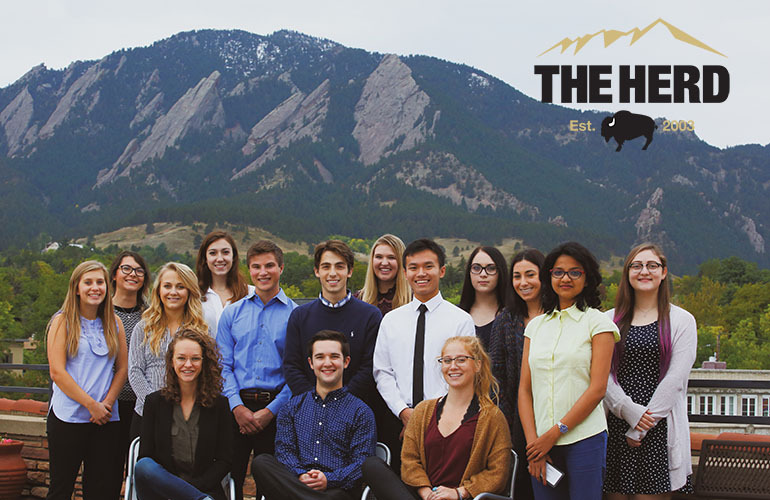 The HLC oversees the activities of The Herd – the largest student group on the CU Boulder campus. The Herd is a CU Boulder Alumni Association program, and provides students with opportunities to be engaged with the CU community through special social and philanthropic events. If you are selected to join the HLC, you will meet great people, gain valuable leadership experience and interact with key campus influencers. You also will have the opportunity to gain experience in marketing/advertising, event planning, communications, business development, time management, teamwork and much more! Herd Leaders (members of the HLC) are responsible for executing Herd programming. Any CU Boulder student is eligible to apply to join the Herd Leadership Council. The HLC application is currently open. Deadline to apply for Spring 2019 is Tuesday, Jan. 22 at 11:59 p.m. MTN. In-person interviews will be held for selected candidates the following week, and will be scheduled by the Herd Program Manager or Herd President. If accepted into the Council, new Herd Leaders will be required to attend weekly meetings every Tuesday during the semester from 5:30-8 p.m. The first HLC meeting for new Herd Leaders will be Tuesday, Feb. 5, 2019 at 5:30 p.m. at Koenig Alumni Center. All Herd Leaders are expected to attend the Herd Leadership Council Fall Mini-Retreat Aug. 25, 2019. ©2019 CU Boulder Alumni Association All Rights Reserved.